While Silicon Valley gets all the hype, here in Sacramento, we’re working hard to grow our tech and startup scene. Appency works with companies across the US, but we’re proud to call Sacramento, the capital of The Golden State, our home. We recently were included in Clutch’s announcement of the top business service companies in California. Clutch meticulously researches business service companies like digital marketing agencies and web development firms all over the world. We list on Clutch’s website while they collect reviews from our clients based on the digital marketing services we do for them. We take our Clutch reviews very serious, as they provide great feedback and paint a wonderful picture of what it is like to work with us. 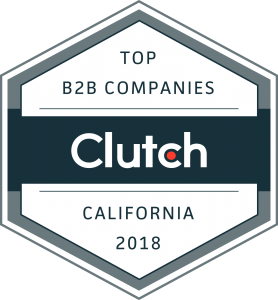 With these reviews on Clutch’s platform, we sit at the top of their Sacramento Digital Marketing Agency directory (even as an agency that only works with apps!). Our stellar 5/5 star rating on Clutch is so impressive that Clutch’s sister website, The Manifest included us as a Sacramento agency leader. So, while The Bay Area and LA County become too expensive and stifle their creativity, we’ll keep it real in Sacramento and continue make a BIG noise and do great work. Want to work with on your mobile app marketing and digital marketing needs? Don’t be shy, reach out!